And one of my absolute favourite ways to enjoy them is by activating them – and not just because it’s trendy! Activation is the process of soaking nuts in water, like sea monkeys. And just like sea monkeys, activated nuts require your love and patience for a few hours before they’re ready to eat! To me, raw nuts are the perfect snack, packed full of vitamins and nutrients. To others, namely the 7 children who suffer severe anaphylaxis at Tarquin’s birthday party, not so. But we alerted their parents and sent them straight off to the emergency room, meaning the party was no longer soured by their narrow minded attitude to food! I’ve always believed anaphylaxis is all mental – it’s all about coming face-to-exploded-puffy-face with your fears. Raw nuts, like the ones used in Tarquin’s birthday cake (I use the word loosely, technically it was a salad) are a great source of fibre, protein, antioxidants, minerals and antimineroxidantals. However, raw nuts contain a lot of chemicals which can cause digestive troubles (Poor Tarquin had severe constipation for most of the afternoon, so we had to play ‘Pass the Parsley’ without him). 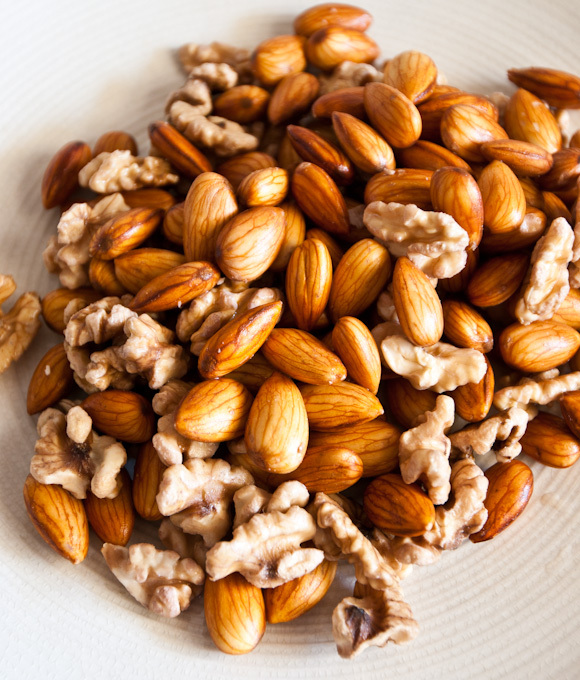 ‘Activating’ nuts helps to break down these chemicals so they’re easier to digest. Plus activating nuts helps to release all their wonderful antimineroxidantals! Place your nuts in a large bowl. In a separate bowl, dissolve a few pinches of salt in some water. If you’re activating particularly large nuts, like pecans, add more. If you can’t remember if you’ve already added salt and it’s just dissolved, add more. Add the dissolved salt water to your nuts, and then pour all this into another separate bowl. Leave them to soak – the time varies depending on the nut. For instance, walnuts take between 7 and 10 hours, almonds between 12 and 16. Meanwhile I’m still waiting on some Macadamias I’ve been soaking since 1997. After this time, strain them and pour them into another separate bowl. Leave them to dry for another 12 hours at room temperature, or at 20 degrees if your room is cold. And voila! They’re almost ready to eat! Transfer the dry nuts into another separate bowl, and repeat steps 1 to 4 three more times, 5 to 6 twice more, then in this precise order steps 4, 3, 1, 5, 5, 3, 10 and 3, unless using pecans. These cannot be activated. Next You Can Win Friends With Salad! Hi Bec. Great post – I’ve heard of soaking nuts, but didn’t know about the salt. Is that for flavour or does the salt have another purpose? Thanks Jer! Adding the salt is what de-activates the enzyme inhibitors that cause digestive problems, but you’re right it also gives the nuts a lovely salty flavour! Cool – I didn’t know that. thanks!